We just had our church’s Missions Convention this past Sunday and I caught myself actively connecting with the missionaries around the table at lunch. I could have sat and smiled and made generic conversion hoping to connect with some of the people around the table, rather I was actively connecting with a bunch of people I did not really know. Let me explain the difference between active and passive networking if you do not know the difference. Passive Connecting is about waiting. It’s about waiting our turn to share a story or comment that may be relative to the discussion. Passive connecting is about waiting to see if the people we are talking to find something interesting about us and will, but some miracle, have a desire to connect with us. In listening to the missionaries speak about their missions (Ecuador, Teen Challenge, and Romania respectively) I heard one of the missionaries share that they served in Brooklyn, NY. I grew up and Brooklyn so I engaged him and have a lovely discussion about NY Pizza and public transportation. I also asked a lot of questions. Someone brought up about what kind of American businesses were moving in to their town or village. I asked them which American product did they most miss and the the people from Ecuador said Dr. Pepper and the folks from Romania said peanut butter. I now learned that if our youth group wants to be generous we could send out missionaries the comforts of home they missed most. I am the network leader in my denomination for my area. I send them some messages on occasion and include some stuff they can use. They don’t ask me for it, I just give it. Every youth ministry I know of takes and offering. Usually it’s not hard to count because it’s so small. Our denom focuses on missions and supporting missions so there is an added emphasis and a small uptick in giving. I recently interviewed some missionaries and had them take my offering for me because I wanted our kids see that this money was going to “real” people. The videos I made for myself I put in my drop box and offered it to my whole network because I could and it may help their youth group take a better offering for missions. In this process the law of reciprocation kicks in, you reap what you sow. Not everyone will throw a parade for you or even thank you but the ones who do will encourage you to keep being an active networker. So, what can you do? – Offer yourself or the youth ministry to physically help another ministry with their project. – Raise money for a struggling ministry in your church or to help a new ministry do well. – Create something for another ministry that makes their leader look good. Leave your suggestions (or questions) below in the comments. Now, I have nothing to “sell” in regards to networking with missionaries, but I do want to represent my church and myself as “the people who get it and I give to it”. My goal in networking with you, the local youth worker, is simple: create consistent epic stuff (like this blog, my YouTube Channel, creating cool stuff in my store, and the exclusive freebies I send out to my Fresh Impact Newsletter,) that matters so you can make an impact on the kids you work with, the church you serve, and the Kingdom of God you are a part of. I can’t say it any better. So, wow can we connect so you won’t miss my funeral? 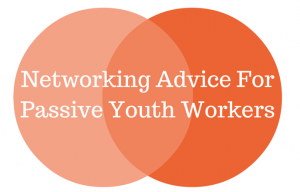 Are you an active or passive networker? 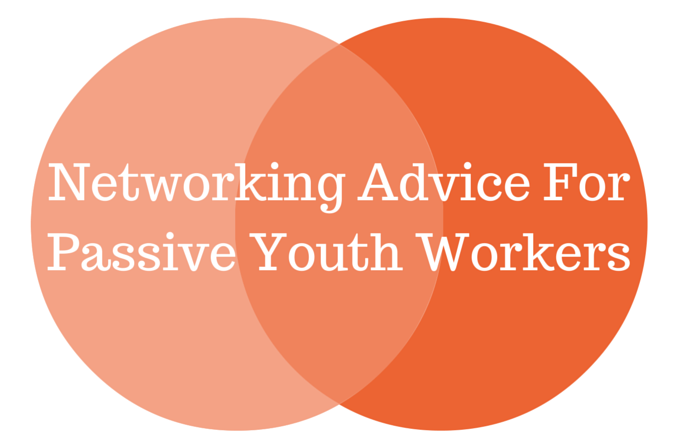 What are some of the obstacles to you becoming a more active networker? If you could be more active in networking within your church what would you want to accomplish?